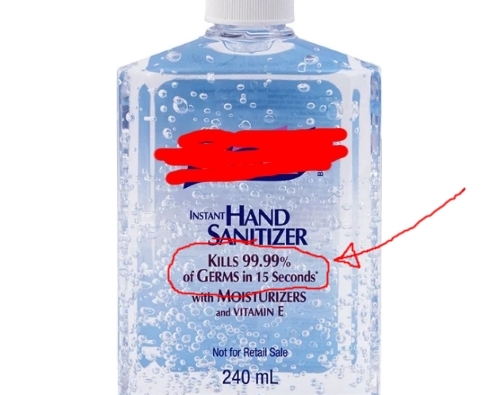 I've seen innumerable antiseptic, mouthwash, handwash advertisements that claim to be able to eliminate as much as 99.9% of all germs over a surface...but why not the remaining 0.1% (i.e- why can't they eliminate all germs)? Being a student of Biology, I can tell that the term "germs" is crudely defined. I would prefer to use "pathogens" (less ambiguous), and I suppose the guys that market these products have (roughly) the same idea in mind. Pathogens normally include bacteria (monerans), protozoans, fungi and viruses... so I guess these are the "germs" they're talking about. Is an antiseptic's inability to eliminate 100% of all germs due to its "chemistry", or is it due to physical factors? Do antiseptics/mouthwashes/handwashes even kill 99.9% of all germs in the first place? Or is it (as I strongly suspect) an example of marketing fraud? This is actually an interesting question! Let me answer both the parts separately, taking the example of Listerine® mouthwash. In most of the cases, this is due to the physical factors. Clearly, your mouth is not a flat surface. It has many depressions and elevations. And these irregularities are the perfect hotels for all kinds of pathogens. Also, it is difficult for most chemicals to reach those spots and stay there for long enough so that they can act on the pathogens. Thus, most of these chemicals would be unable to kill 100% pathogens because of their inability to reach all of them. Also, in rare cases, it might also be due to chemical factors(!) Yes, I'm talking about antibiotic resistance. And in that case, it would be practically impossible to kill 100% pathogens, no matter whether they're hidden or exposed. Eucalyptol – with antibacterial properties, this eucalyptus-derived essential oil works as an anti-fungal agent within the mouth. Methol – this natural oil as germ-killing abilities to help halt the growth of bacteria. Thymol – this powerful oil is derived from the ajowan herb, and helps decrease the risk of gum disease. Methyl Salicylate – for minty freshness from morning til night, the flavouring agent in this essential oil is, well… essential! We just need to know whether these ingredients really work or not (why? We'll talk about this later on) and I'll skip methyl salicylate for this (they don't even claim that it is antimicrobial). Beginning with eucalyptol, it has been shown that oil of Eucalyptus globulus (of which eucalyptol is a component) has antimicrobial properties against Escherichia coli and Staphylococcus aureus (see Bachir et al, 2012). It has also been shown to possess antifungal properties (Safaei-Ghomi et al, 2010). Coming to methol, it has also been shown to have antibacterial properties against various Staphylococcus and Lactobacillus species (Freires et al, 2015). Finally, there have been lots of studies about the antimicrobial properties of thymol. You can check out the Wikipedia page for information. So, where is the percentage? The point is, the exact percentage depends on a lot of factors. When an enterprise, such as Listerine®, claims that their product has been shown to be 99.9% (or any number) efficient against bacteria, they need to cite the particular study through which they claim this number. But they can not, in any case, be definite that their product will be 99.9% effective everytime. How effective a product is also depends on the conditions under which it is tested. Mostly, these tests are performed on a petri dish in a laboratory, something very different from your mouth. Thus, although they can claim that their product is scientifically proven to be 99.9% effective, they cannot claim it to be 99.9% effective when you use it. Again, they cannot claim 100% effectiveness because this makes them liable (saying our product has been shown to be 100% effective requires them to show that even a single microbe did not survive on the petri dish they used for experiment). Also, this gives them a way to escape in case anybody complaints about their product not being effective (since they caught infection even after using their product). In such situation, they can easily say that their product is not 100% efficient! What does "99.9%" mean, anyway? @another'Homosapien' already provided a nice answer, which explains the biological aspects of the question. However, following his/her advice, I'd like to talk about the mathematical aspect of the question. I'm a biology teacher only, but I always liked math and I have a deep respect for statistics and its branches. We tend to generalize when thinking about big numbers, small numbers or approximations. That's normal and actually expected. We say that a given galaxy has 400 billion stars, or that the human body has 1014 cells. Those numbers are not exact, and no one expects them to be. However, the problem with "99.9%" is different. That's not an approximation or an extrapolation for something that would be very hard or impossible to count, like the precise number of stars in M83 galaxy. That "99.9%" has become just an idiomatic expression. Imagine that a given birth control pill A has a theoretical effectiveness of 99.96%, while a given birth control pill B has a theoretical effectiveness of 99.98%. They are both very high, so we will simply say "99.9%". However, the number of couples that get pregnant using the pill A is the double of the number of couples that get pregnant using the pill B (0.04% versus 0.02%). The examples abound. For instance, you can hear that DNA polimerase is accurate 99.9% of the time, or even 99.99%, if the speaker wants to transmit a higher precision. However, the real number is closer to 99.999999% (given an error rate of 10-8 per bp). But nothing beats the TV ads for antiseptics and cleaning products. They all say "99.9%", and some of them say 99.99% (to make the message even more clear). However, these products don't kill "99.9%" of bacteria (be this either the number of cells or the number of species). The real number may be 98.46%, or 99.12%, or 99.98%... As @mmesser said in his/her comment, " that 99.9% has more to do with marketing and lawyers than biology". "Huston, we have a winner": this brand not only added another "9" to the sequence, but also claims to be the fastest gun in the west. Conclusion: in non-scientific media and TV ads in particular, "99.9%" is not a number anymore, it's just an idiomatic expression, meaning "almost all". From millions of bacteria present, few might be genetically different enough to be able to deal with whatever chemical mechanism it supposed to kill them (have resistance to it), and survive. Evolution at work. Well as a Microbiologist by trade, we use this numbers based on log reductions on the forming units of the organism being tested. There is a limitation on the testing methods that cannot determine an absolute elimination of the pathogen. For example, I perform the test and perform serial dilutions of the recovered organism and plate it on agar to be counted. Higher concentrations are hard and nearly impossible to count so we must use dilutions to achieve this and then multiply for the dilution factor to react an "exact number". So when I perform a 100 times dilution and the agar plate comes clean (no organism) growing the recorded number is not 0 but <100 because we cannot be sure about how many organisms should be there. I know this is a bit confusing but it is more like a safeguard to not give false information. Not the answer you're looking for? 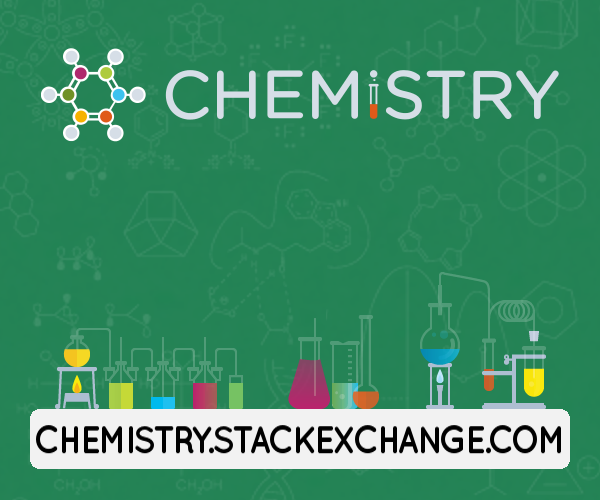 Browse other questions tagged biochemistry microbiology or ask your own question. How can someone share 50% of their DNA with their parents yet all humans share 99.9%? Why does cucumber skin kill ants? Why don't phospholipid bilayers dissolve? How the chaotropic agents help in purification of DNA molecule? Which life is supported in sterilized 100% pure water?